This is the initial launch of our signature J6 collection. We use recycled rubber in a cutting-edge design and function. The structure of the seat uses 100% recycled rubber that is very clean. The frame is heavy duty alumuminum that is powdercoated twice for durability. It supports the recycled rubber seat structure that has a free moving suspension system that allows give. This allows the natural bounce of the rubber to act like cushions - but no outdoor foam cushions needed! It is an amazing comfort experience! 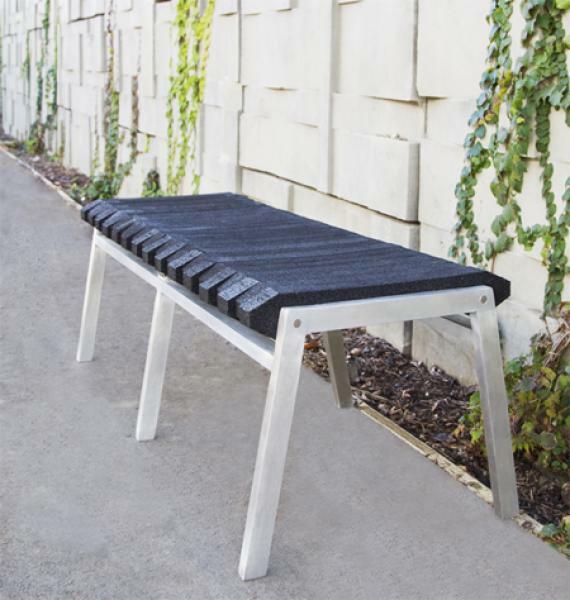 These benches are so durable they will last a lifetime! Also, becuase of the weight of the rubber, they will not blow away in high winds. There is also the Arrow Lounge Chair in this collection and The Cube. 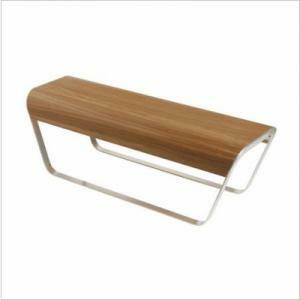 This bench comes in a single 2 foot wide or long 4 foot wide bench. The aluminum frame can be made another finish by a custom order - you'll need to contact us. The whole collection together makes a very nice outdoor experience. 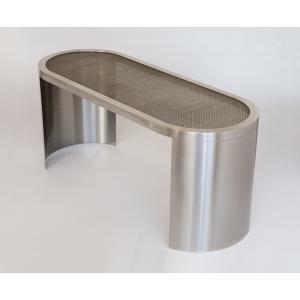 The Track Bench has a clean modern design and comfort, but it is also an Eco-Friendly design! It uses up those giant piles of waste tires and makes them into a savvy design piece. Also, since we follow a sustainable business model we will make a 5% charitable donation to The Sierra Club (http://www.sierraclubfoundation.org/) for each unit purchased! 1.) Top Layer of Rubber - this layer adds color and makes a smooth sitting surface. 2.) Spacing of the pieces provide water drainage and no pinching when one sits and it moves to conform. 3. 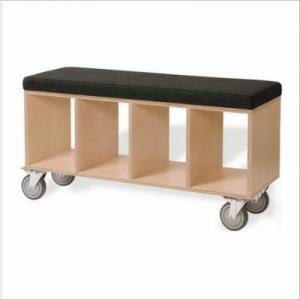 )The elasticity creates the perfect suspension with no outdoor foam cushions needed. 4.) The rubber is very clean and the aroma is neutralized. 5.) 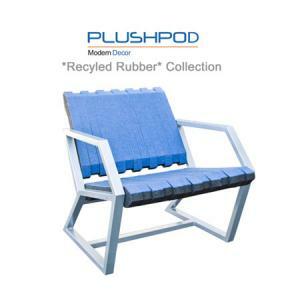 Recycled rubber is weatherproof – they are very heavy and durable in the outdoor elements and the top rubber is UV protected so it won’t fade. 6.) Low maintenance – you can easily clean by just hosing off. 7.) Made in the USA and will last a life time!